You may have spotted a few over-excited posts on my Facebook page talking about the Festival on the Wall. 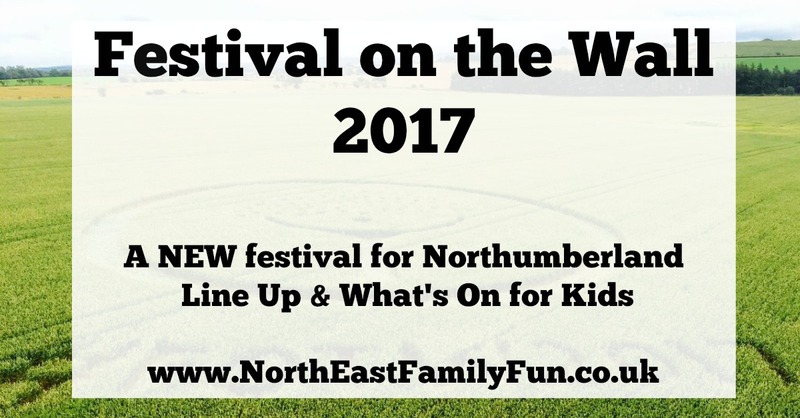 We are SO excited that we've been asked to join their blogging team and think the festival is probably going to be the most exciting thing to happen in the North East this year. What exactly is the Festival on the Wall? The Festival on the Wall is a new major musical festival in Northumberland. 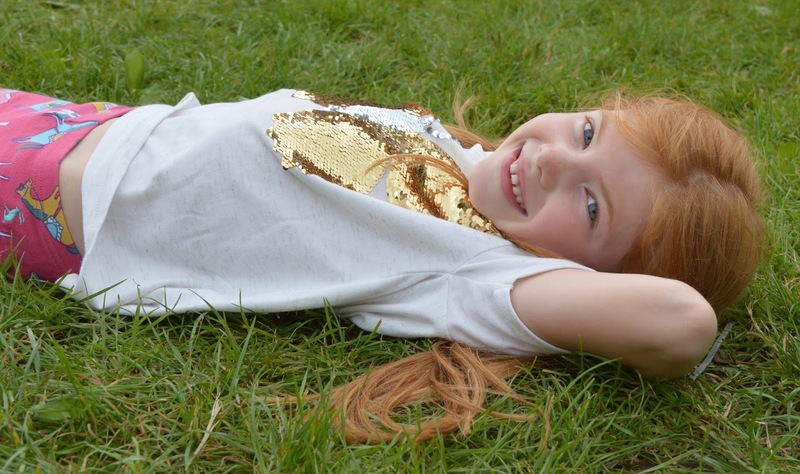 Hosted on Northside Farm near Heddon-on-the-wall, the festival aims to be 'the happiest festival in the UK'. The Festival will take place from 4th - 6th August 2017. The Thunderdome | A 360 degree flaming stage where lightening bolts will shoot across the crowd as the DJ plays. You'll get to witness high rise stunts, street performers, fire breathers, crazy bikers & more. Witchcraft Woods | Home to wood carvers, tarot readers, leather workers & Medieval crafts. You can sign up to lessons and learn something new. Beefy Melons | A friendly pop up featuring free-yoga, limbo competitions, impromptu gigs and giant jenga. Karavanoke | You'll find lots of caravans scattered around the site which have been transformed into karaoke booths with a difference. Expect themed decorations and booth service drinks. Cinema | An immersive cinema area where you can star on the big screen yourself. After speaking with the festival organisers last week, I am confident that the Festival on the Wall is going to be fantastic for kids. 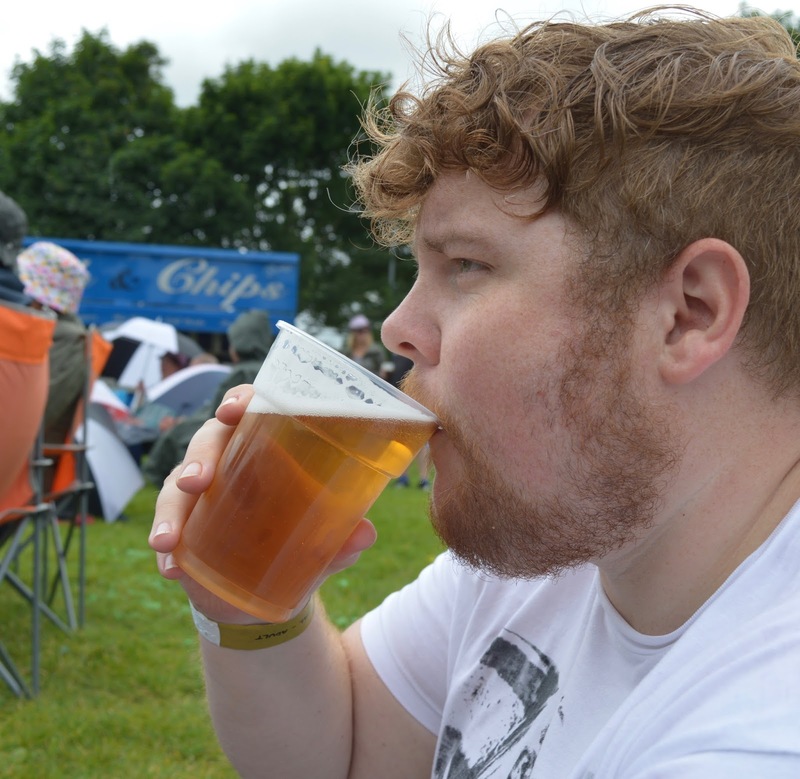 Steve and I are pretty seasoned festival goers and have tried everywhere from Glastonbury to Just So. 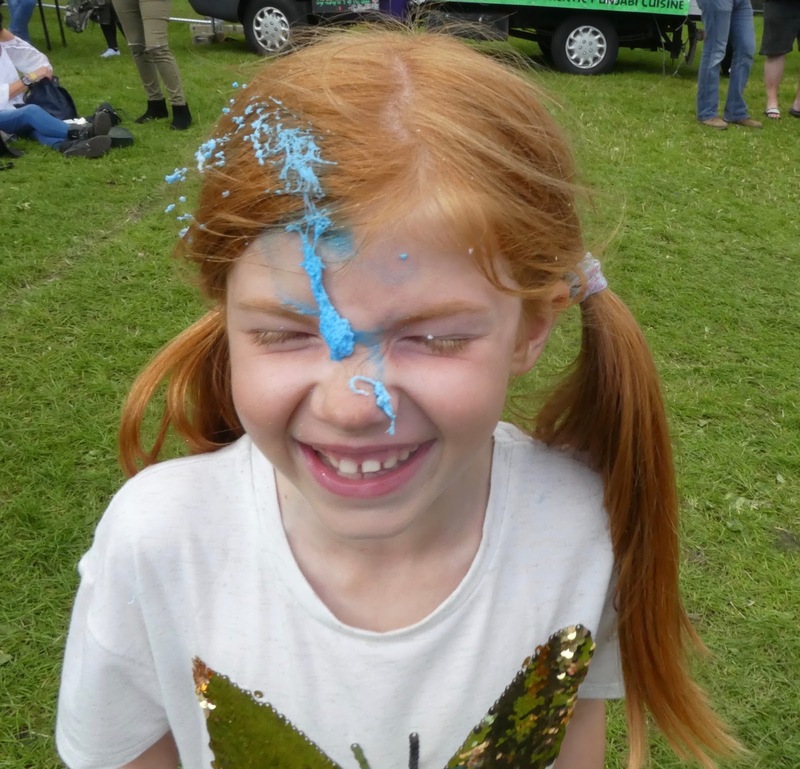 I will hand on heart say that festivals that are designed 'just for kids' are honestly not the sort of place we like. They are usually full of monotonous children's entertainment, crowds around one person standing on a small stage that your kids can't see, queues galore for a ride that lasts 30 seconds (or to just buy an ice cream) and not much fun for mum and dad. 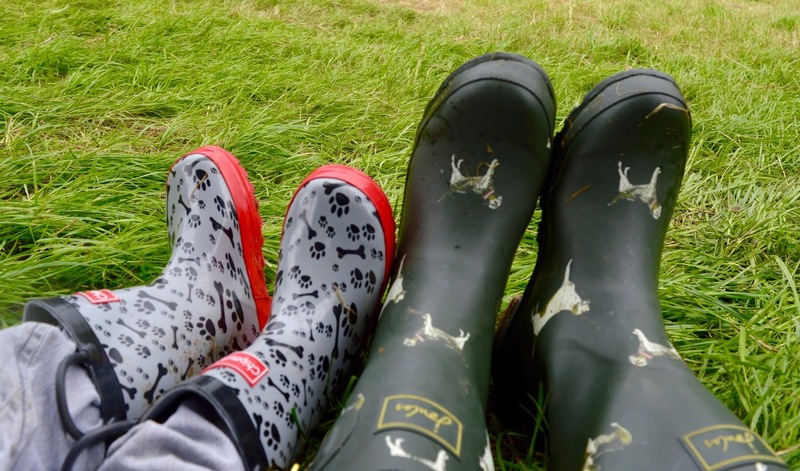 Festivals that offer a wider range of things to do for all ages (including grown ups) but manage to maintain a family friendly aspect (like the Festival on the Wall) are just so much better in our opinion. Some of my best memories with the kids over the past few years have been at festivals. We loved painting our faces and spraying foam over each other at the Corbridge Festival, dancing together to The Specials as they played Ghost Town (which was number 1 when Steve was born), getting dressed up together in silly festival costumes, joining a Zombie Conga around a field and dancing our socks off with UV sticks in the dark at Just So. There is something really special about visiting a festival with your kids that just releases your inner child - you're not checking your phone constantly and you are fully focused on just having fun. When else do you get the chance to dance like no one's watching? Kids love watching mum and dad acting so freely. 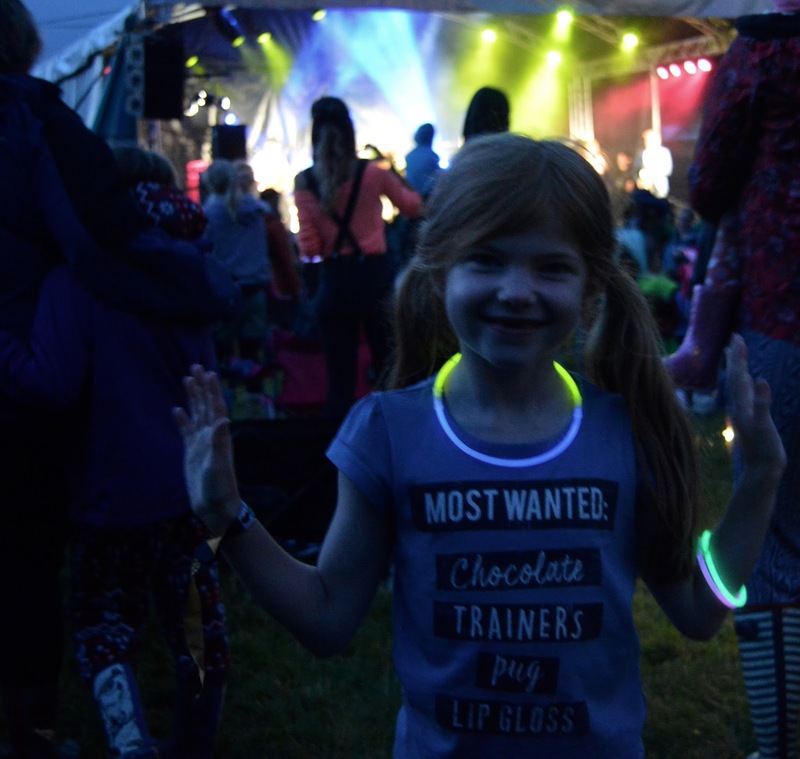 I absolutely cannot WAIT to let my hair down and dance around with the kids to the Pet Shop Boys and Mark Ronson - it's going to be amazing and dancing with your kids to live music in a field is something you should definitely add to your bucket list. Heidi and Steve are partial to a bit of roller booting (well Steve's last time was around 25 years ago but he still reckons he's got it) and I know they're going to love a bit of father-daughter time at the 80s roller disco. Top of our list of things to do is to grab a Karavanoke booth and sing our hearts out to our favourite hits together - we might even make a video. I don't think we've ever tried karaoke as a family so it'll be fab to try something new. We all loved watching fire breathers and the bikers at Blackpool circus. Well, I had to watch behind my hands but the kids couldn't get enough - I know they're going to want to visit the Thunderdome and watch the performers here time and time again. Finally, the location of the festival means that for us, it's just a 30 minute drive away in our car from home so no long car journey with three kids in the back - winning!!! Rumour has it there's going to be a giant soft-play for grown-ups and kids too.......watch this space for announcements. 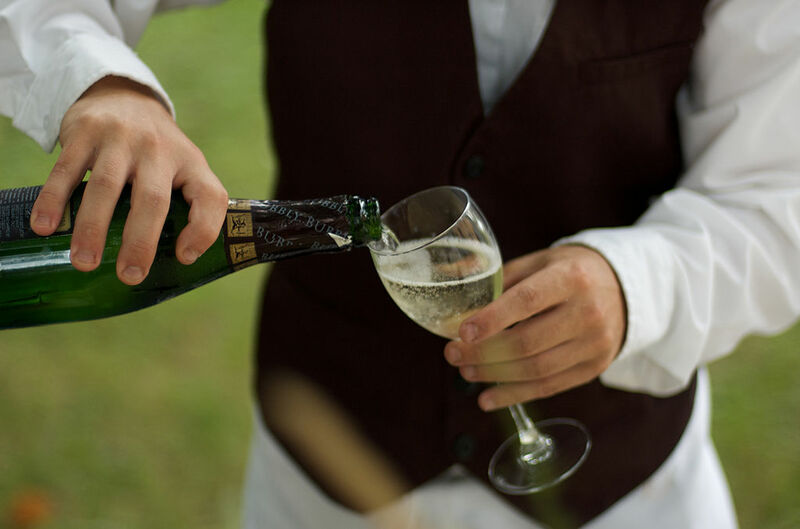 A unique click and collect - order your favourite drinks to collect on arrival (or at any point throughout the festival) for the same price as the supermarket. The festival will keep it chilled on ice until you're ready for it and you don't need to collect it all in one go. Say goodbye to warm beer! I would highly recommend camping on-site - it really adds to the experience and you feel part of the community. I know that it's not everyone's cup of tea though and some of my best friends would refuse to ever sleep in a field. With that in mind, you can choose to not camp (although the price is the same so again, I think it's much better value if you stay on site) and leave the festival at the end of every day, returning the following morning. For security reasons, no pass-outs are allowed though so once you have left for the day, you can't return until the following day. There are a range of tickets available from just £5 for children aged 12 & under (amazing value) to £170 for an adult early bird ticket right up to £330 for an adult VIP ticket. There are always people who will moan that this is expensive but for us, a weekend ticket would cost £355 plus booking fee for the 5 of us. This is for 3 nights camping in the height of the school holidays and includes a tonne of entertainment and music. For comparison, the cheapest break I could find in a basic apartment at Butlins for the 5 of us over the same weekend was £761 and the most basic caravan at Haggerston Castle for the weekend is priced at £456. 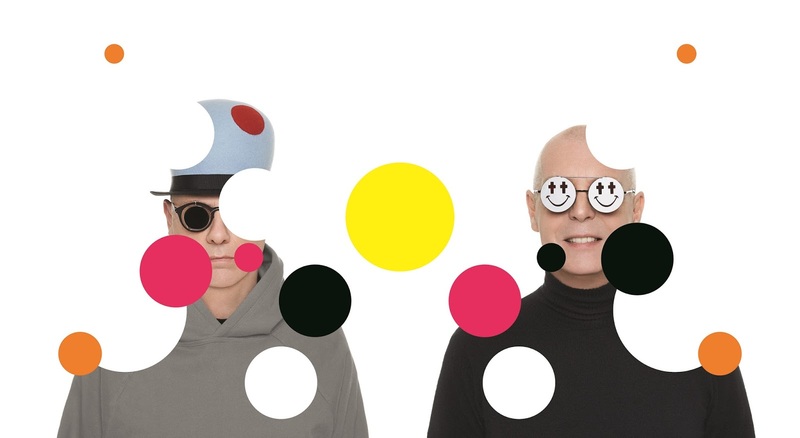 Tickets to just see the Pet Shop Boys perform at the Manchester Arena this February work out at a whopping £230 for us all. When you look at it this way, I don't think £355 for a weekend of fun in August seems so bad. There is a deposit scheme available where you can pay a 50% deposit to secure your ticket (with the balance due on 1st April). Festival on the Wall are proud to be supporting Unicef and all of the work they do. Weekend tickets include a £10 donation to this worthwhile cause. The festival also has a very strong focus on sustainability and will be using innovative ways to minimise waste, controlling carbon emissions as well as creating jobs and long-term economic benefits to Northumberland. Phew! This has been a LONG post and there's a lot to take in. 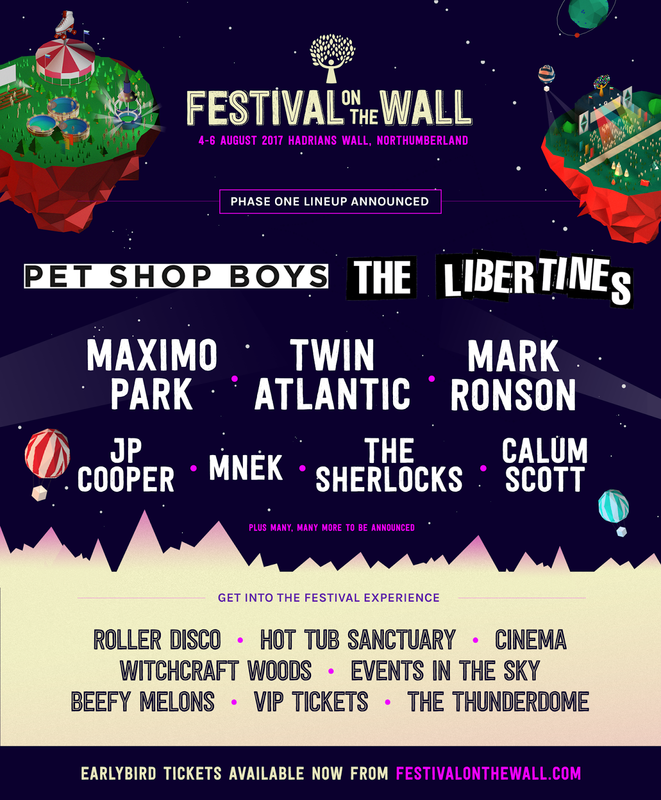 I'm going to pop on this Festival on the Wall Spotify playlist and have a cuppa now! You'll find lots more info on the Festival on the Wall website and make sure you follow the Festival on the Wall Facebook page for updates and announcements. Looks like fun! We love a good festival and fancy going back to Kendal calling next year..or maybe will go here if it's repeated! We are on our jollies to spain when it's on this time though! I think these guys are doing a fab job. That click and collect booze offer is so great! Nothing worse than warm drinks at festivals. I love that. I really think we might come along. First proper festival we take the kids to. This looks ace - great line up! We're doing Camp Bestival this year, our first ever family festival, but if we get the bug then it looks like this will be on the wishlist! Have fun at Camp Bestival - I've always fancied it and heard good things but it's just a little too far away for us. I am beyond excited to have a festival right on our doorstep. Thanks for this! I really want to go and my other half wasnt convinced that we should take our little one. Going to send him this post! It looks like fantastic fun for everyone! We should definitely look into going this year.